The reporter Eric Schlosser is perhaps best known for his book Fast Food Nation, but for the past few years he has specialised in researching the nuclear industry, and how we look after our Cold War nuclear legacy, which has left piles of enriched uranium and plutonium in hundreds of locations across the globe. The answer: not well. Much of this was covered in his 2013 book Command and Control. 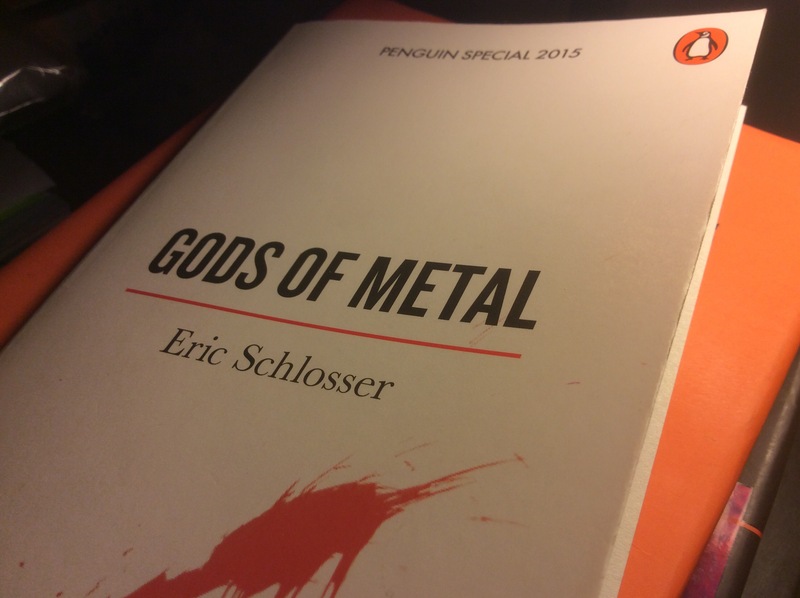 Now, in a smart piece of publishing, Penguin has published Gods of Metal, an updated novella length (and novella priced) version of his long New Yorker article on the anti-nuclear movement Plowshares, and its break-in at nuclear facility Y-12, at Oak Ridge, Tenneseee. Penguin has also republished in the same format and price John Hersey’s original 1946 account of the atomic bombing of Hiroshima. [Prison]’s the closest as white middle-class North Americans that we can really be with the poor. They prepare for their actions carefully, a year or more ahead, even giving them names (‘Gods of Metal’ was the name they gave to the Y-12 incursion). They acknowledge their actions, and know that the result will be arrest and most likely incarceration. If terrorists manage to steal weapons-grade uranium or plutonium from a Department of Energy facility because of a contractor’s mistakes, the firm responsible for the security breach stands to lose its contract. The United States could lose a city. Now is the time to affirm not only the immorality of nuclear weapons, but the immorality of their possession, thereby clearing the road to abolition. And perhaps as surprisingly, the ‘sabotage’ charge which the ‘Gods of Metal’ defendants were found guilty of – a classically cynical use of the justice system by the security state – was struck down when the case came to appeal. It’s impossible to read the book without thinking that these widely distributed stocks of nuclear materials – in the United States and elsewhere – represent a large risk, and one that we aren’t taking seriously enough. The image at the top of this post is by Andrew Curry, and is published here under a Creative Commons licence.